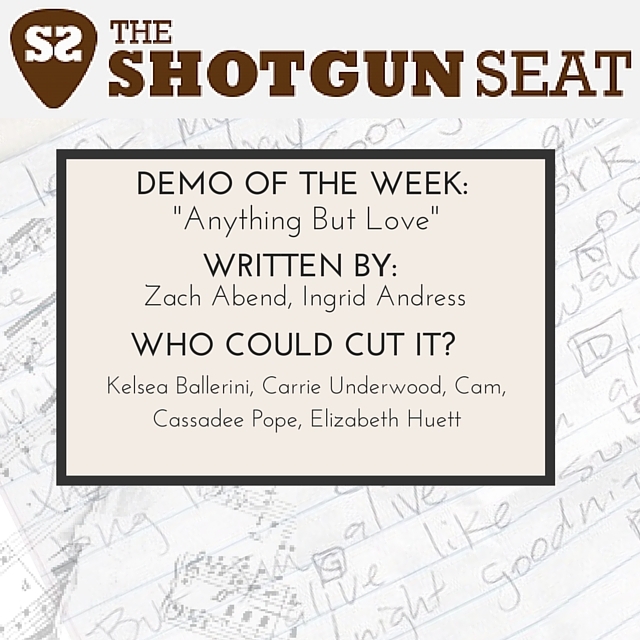 This week’s demo is sentimental but not overwrought look at against the odds, finding an exemplary love. Fresh, vivid imagery, and hell, if we haven’t all been there. Check out this week’s demo. 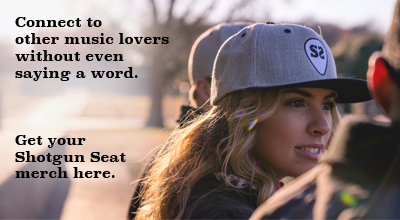 This week’s demo is mellow and emotive, with the ability to lean ballad or R&B groove. This week’s demo is at the midpoint of nostalgia and living in the moment. 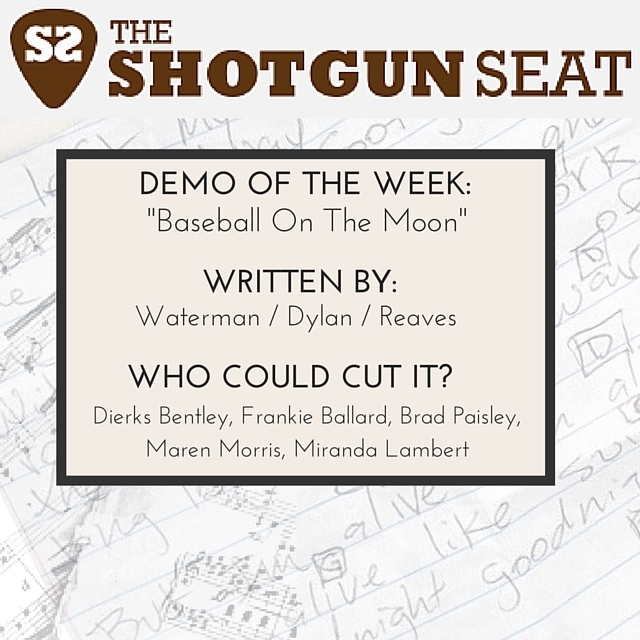 This week’s demo is a sonic steady hand on the listener’s shoulder, a good fit for Dierks Bentley, Frankie Ballard, Brad Paisley, Maren Morris, or Miranda Lambert. This week’s demo has a super catchy feel with lyrics that take you to the best parts of being young, of home. 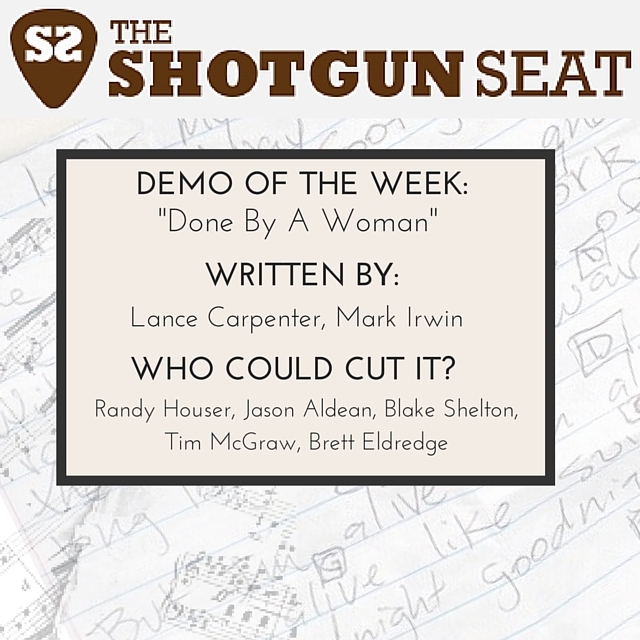 This week’s demo, “Done By A Woman,” would be a good fit for Randy Houser, Jason Aldean, Blake Shelton, Tim McGraw, or Brett Eldredge. This week’s demo centerpieces brooding and longing. This week’s demo would be a killer duet or solo cut, from artists like Chris & Morgane Stapleton, Dierks Bentley, Sam Palladio & Clare Bowen, Tim McGraw & Faith Hill.